Pine Siskins are part of the Finch family, and get their names in part because of their fondness for pine trees. Male and female Pine Siskins look alike, with streaky brown coloring and a patch of yellow mixed in on the wings. Pine Siskins live and nest near... pine trees. Unlike many birds, Pine Siskins often nest in small colonies and are not very territorial towards others. Pine Siskins like to eat sunflower and nyjer seeds, as well as insects and spiders. Pine Siskins are fascinating little finches that spend their summers in the tops of coniferous trees or in mixed wooded areas, and in winter go wherever they find a good food supply. Unlike many birds who have a consistent migration pattern, Pine Siskins are often found in large flocks that may visit your neighborhood feeder in masse one winter and then not be found anywhere nearby in the next year. When they do visit, these songbirds can best be identified by their small size (just 5 inches), narrow bill (which is thinner than most finches), yellow coloring along the edge of the wings and their short tails. Once you know how to identify Pine Siskins, you'll notice them in large groups. Flocks of Pine Siskins can be quite loud, and their calls can often be heard even before they land at your feeders. The food-centric Pine Siskins comfortably cling upside down to pine trees in order to more easily reach the seeds. It's much more common to find Pine Siskins on a bird seed feeder or in a tree than feeding on the ground. They also build their nests in these same trees, usually at least 10 feet high off the ground. You can tempt a Pine Siskin family to nest nearby with a small bird house. These small songbirds birds don't need a big home, but they do need a bird house with an entrance hole that is 1.5 inches in diameter. It's bigger than a wren house opening but small enough to deter large birds. Mating begins in late winter or early spring, and once the birds have paired off, the female Pine Siskin will build her nest. 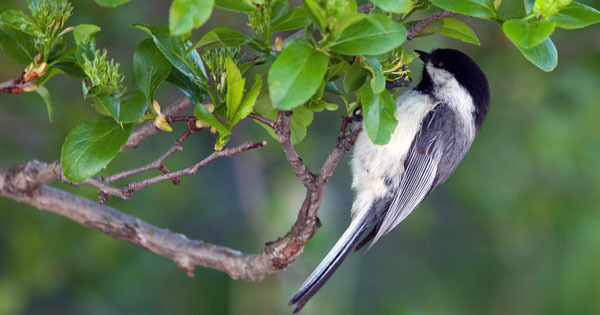 Whether nesting in a birdhouse or a tree, it usually takes less than a week for the female to finish her nest (the male may occasionally help by providing supplies). The female Pine Siskin makes her nest from grass, leaves, twigs and pieces of tree bark, but she doesn't stop there. Once the frame of the nest is built, the female will line it with soft materials like animal fur, feathers or grass that serve as insulation from the cold. This soft lining is where she will lay 3-4 eggs and then stay to incubate the eggs until they hatch. During this time, the male Pine Siskin will bring her food. The eggs will hatch within two weeks, and then the nestlings will spend another two weeks in the nest. When they finally leave home, these young will have a slightly yellow tint to their feathers which will fade over the next few weeks. It's not uncommon for Pine Siskins to create a loose colony of nesting families. You may find that there is a group of nests close together in a wooded area. Pine Siskins are not very territorial once they have mated, although they can be more aggressive and protective of food sources. Open fields with grass and weeds (especially dandelions) are appealing to Pine Siskins. You may see them eating seeds along a roadway or in your neighborhood. At a bird feeder, nyjer and sunflower seeds are the Pine Siskin's bird food. If you want to attract Pine Siskins, add a thistle feeder to your yard. 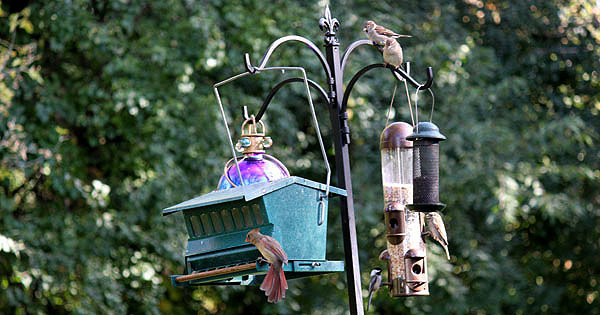 Like goldfinches they will feed upside down at seed feeders which is always fun to watch. In addition to seeds, Pine Siskins will also eat insects and spiders. 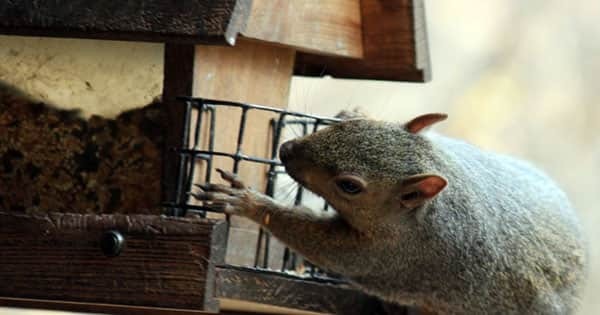 This flexible palate allows them to find food in nature as well as at your back yard bird feeder. Sociable, chatty and easy to attract, Pine Siskins are a fun songbird to watch wherever you find them.